One of our primary goals at True & Dorin Medical Group is to ensure that you have a smooth and quick recovery after hair transplant surgery. Our dedicated team will help guide you comfortably through the entire hair restoration process. Prior to your surgery, we will familiarize you with the treatment timeline and discuss exactly what you can expect in the days and weeks following the procedure. 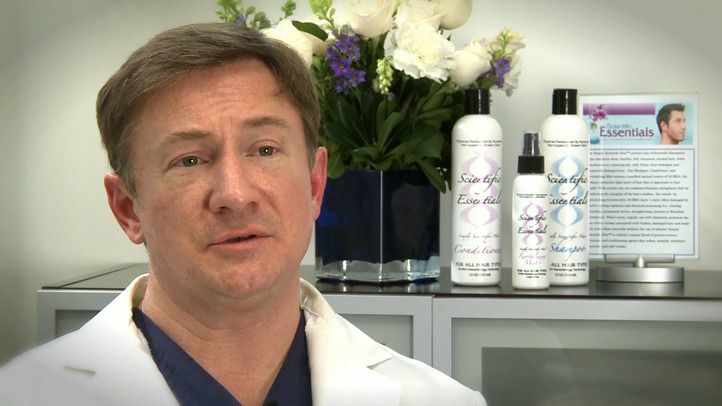 Dr. Robert H. True and Dr. Robert J. Dorin are exceptional surgeons who have invested extensive time and effort into refining modern hair restoration techniques. We believe our patients deserve the best possible results. Patients of hair loss doctors True & Dorin can expect a comfortable and quick hair transplant recovery. Before the second week after surgery, most of the redness and other signs of the operations will have subsided. Specific instructions will be provided to help you prepare for your surgery. You will also receive instructions for after the procedure and you will be asked to watch our informative post-operative DVD before leaving our facilities. Although our patients are ambulatory at the time of discharge, you will need to coordinate a ride home with a trusted friend or relative. One of our primary goals at True & Dorin Medical Group is to ensure that you have a smooth and quick recovery after hair transplant surgery. After follicular unit extraction (FUE) or follicular unit transplantation (FUT), patients should be prepared to experience some minor to moderate discomfort for the first 10-12 days. However, any pain should be easily manageable with anti-inflammatories and patients should not require additional assistance during their recovery. Individuals will experience slightly different rates of healing and recovery. It is important to consult with your doctor before returning to more physical activities. Our doctors will outline proper care of the treatment areas and give you step-by-step instructions on how to clean and care for your scalp based on your individual needs. Knowing what to expect after hair restoration surgery is important to manage realistic expectations and ensure proper healing. When Can I Expect to See New Growth? At True & Dorin Medical Group, we are invested in providing exceptional results to every patient. Contact us online or call us at (866) 629-0866 to speak with our staff. During a consultation, our doctors can provide you with all the support and guidance you need to determine which treatment plan is best to meet your needs.